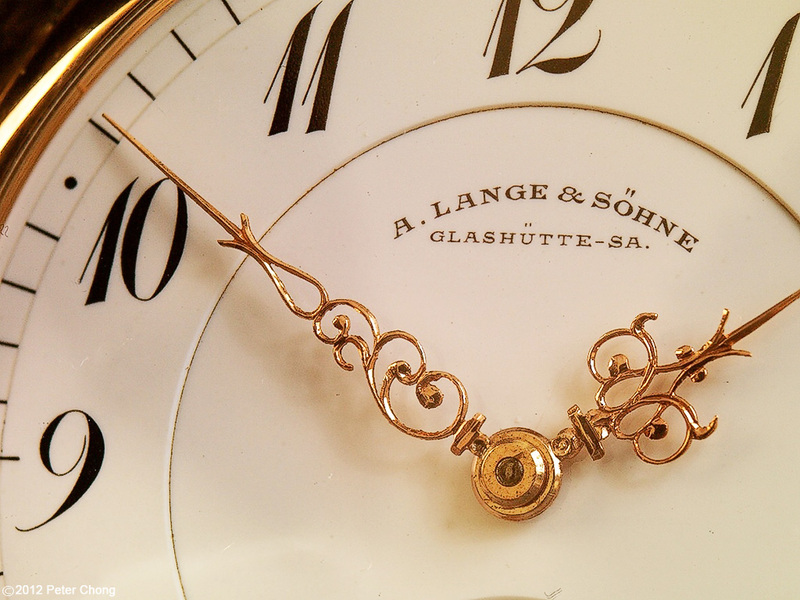 A. Lange & Sohne has been producing beautiful watches since 1845, with a 40+ year gap, when Glashutte was under GDR rule, where no luxury timepieces were manufactured. As many know, the company was revived in 1990, and started production in 1994. But sometimes, the old pieces are still as beautiful, and here is a typical watch produced by ALS prior to WW2. In 18k gold, hunter case, enamel dial, frosted movement. The gilt finish meant the watch was intended for domestic sale. Watches which were exported were often plated in rhodium. Note the characteristec 3/4 plate arrangement. 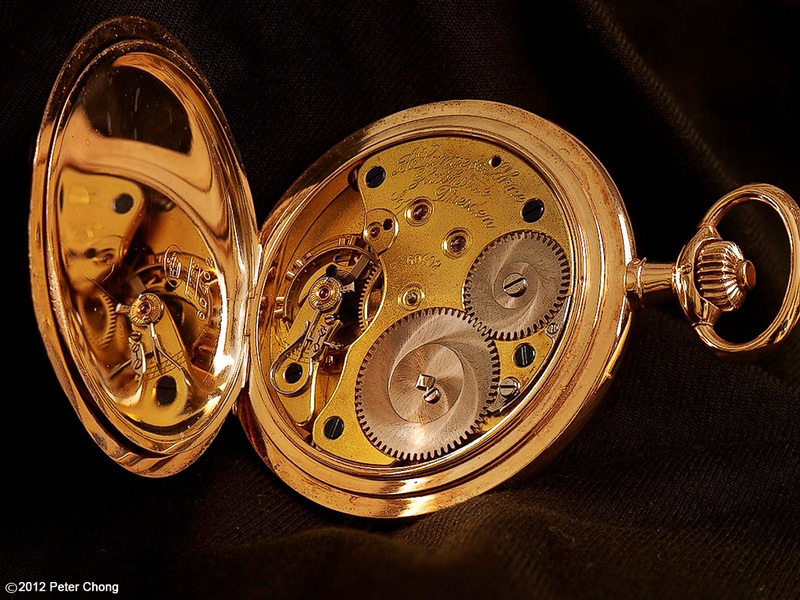 The movement looks like one which is below the ALS reference quality 1A. 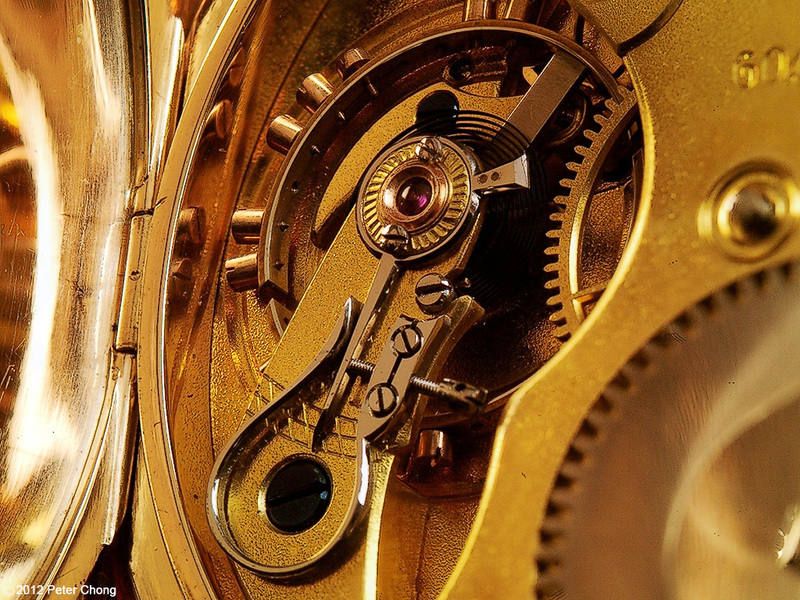 Quality 1A movements feature gold chatons holding the jewels. Here we observe pressed jewels. Quality 1A movements also feature precision whiplash swan-neck adjustment, which we see here. But 1A also feature a diamond endstone for the balance wheel, which is not present in this watch. The enamel dial is almost perfect condition, as are the filigree hands. A typical example of the beautiful work done by ALS circa 100 years ago. Still in good running condition and keeping good time.